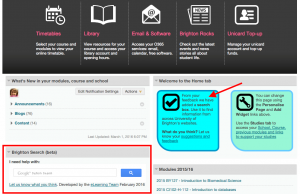 Following feedback from students at the University of Brighton the eLearning team has implemented a search tool on studentcentral as a trial. We would appreciate your feedback. 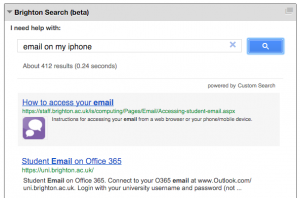 We have used Google’s Site Search tool which has been configured to search across the brighton.ac.uk domain. This includes the main university website as well as other parts of the University’s domains which are indexed by google. 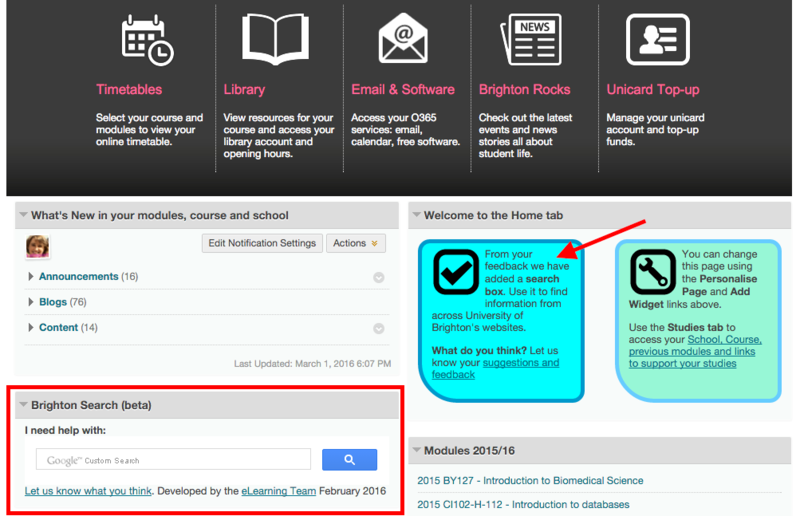 Studentcentral is not indexed by Google but we are providing specific pages to match some expected searches (e.g. where are my lecture notes). We will be looking at common search queries; we can’t tell who has been searching but we can look for common searches and try to improve the results of a search. Let us know what you think – could you find what you were looking for?